Quick Chop Pro Onion chopper cutter san diego salsa maker Temecula. Ever wish for something simple to just dice the onions? Well here it is. With two quick motions, the razor-sharp grid on this tool produces 1/4" square dice cuts. The dicer works so quickly, you’ll avoid shedding tears – a common hazard of chopping onions. You can also use the tool with potatoes, carrots, cucumbers and bell peppers as well as apples and other hard fruits. 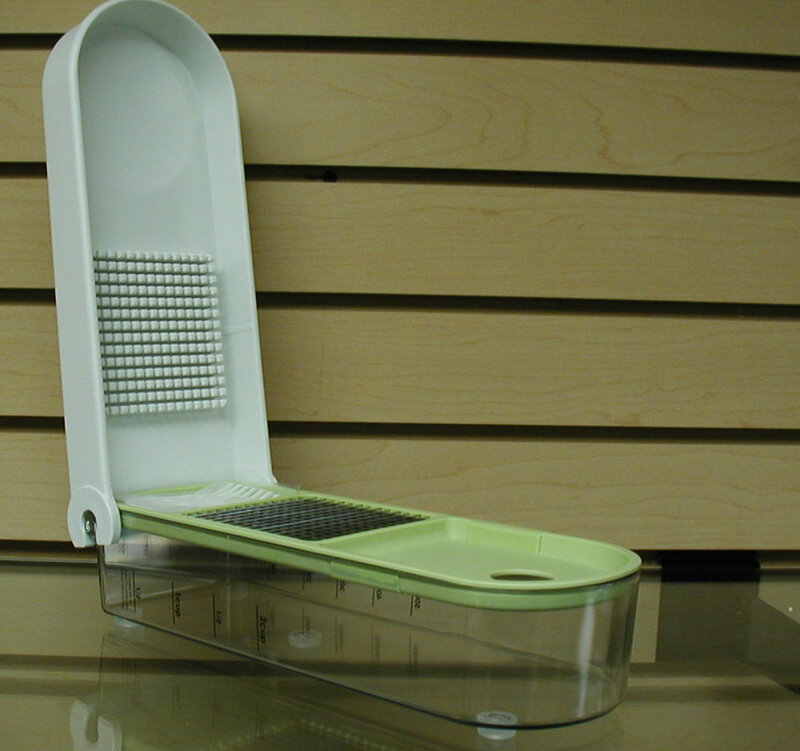 Made of sturdy plastic with a stainless-steel dicing grid, the dicer has a cleaning device to dislodge food bits in grid. Dishwasher safe. 11 3/4 inches by 4 inches. 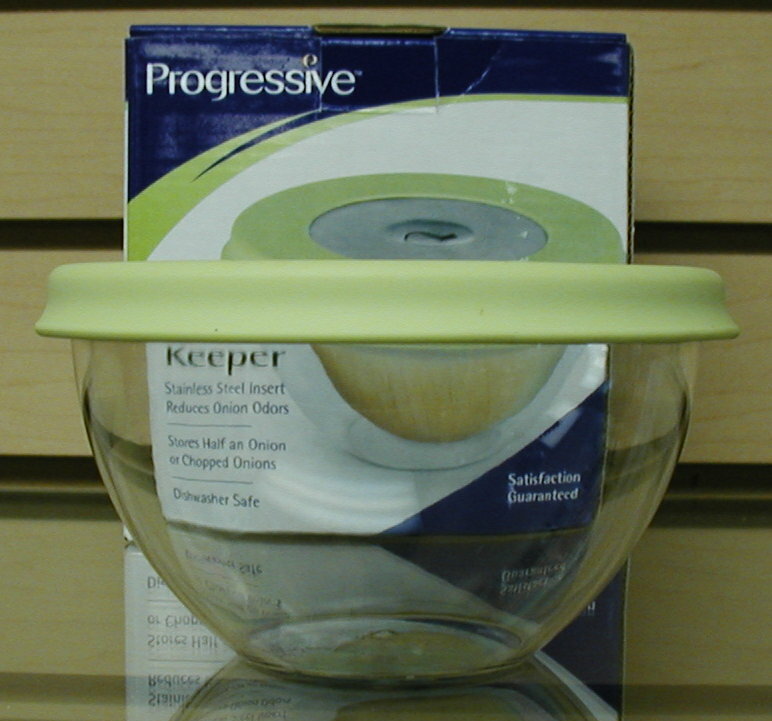 Stainless insert reduces Onion odors dishwasher safe! 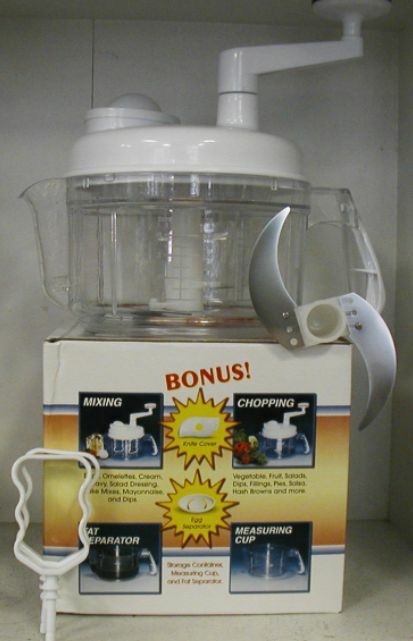 Salsa chopper, onion chopper fat separator, mixer and more. This one really works! In business since 1984 family owned and operated! Proud to offer our salsa chopper.